Michael Lewis is the Chief Technology Officer for the Global Consumer Business at Citigroup. In this role, Michael is responsible for creating and driving our architecture and technology roadmap; evolving our methods, standards and tools for software delivery; and furthering the maturity of our DevOps and Production Management capabilities. Most recently, Michael was the Chief Digital Officer at the American International Group, Inc. (AIG) where he was responsible for improving the company’s overall business performance and enhancing the customer, client, and employee experience globally. He also served as the Chief Information Officer for AIG’s Personal Insurance business. Prior to AIG, Michael served as Managing Director and Digital Chief Technology Officer at JPMorgan Chase & Co. He was instrumental in delivering key business solutions for JPMC, including branch of the future, Chase Mobile, Chase.com, and Apple Pay. 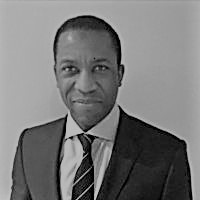 Michael has also held senior technology executive roles at Lloyd’s Banking Group in London as Chief Technology Officer, helping to deliver the integration of HBOS and Lloyds TSB, and at Bank of America as a Senior Vice President and Technology Executive.